The launch of this stunning new home, Titlarks House, marks the first collaboration between Octagon and Kebbell Homes. 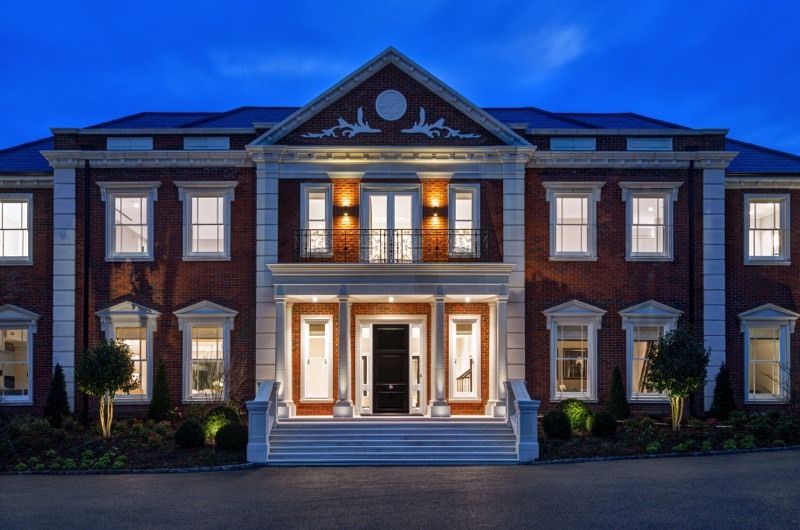 Approaching 17,000 sq ft and located on one of Sunningdale’s premier private roads, Titlarks House, with seven reception rooms, five bedrooms and two staff suites, is a property of mansion proportions that is certainly set to make quite the statement. A unique triple height grand reception hall, circa 1,000 sq ft and over 44 ft in length, incorporates a galleried landing from which a delicate, bespoke chandelier hangs, helping to create the ultimate entrance and space for entertaining. This expansive home is set across two floors, with the ground level reaching over 8,000 sq ft and hosting seven reception rooms. These include the ‘super-room’; a kitchen/breakfast/family room featuring marble worktops hand finished units by Charles Yorke, with a curved glass wall offering views to the indoor swimming pool. As well as a formal dining room with space to seat sixteen, and a luscious drawing room, hidden behind the at-home study sits a library/cigar room, beyond which a private bar provides the ideal space for a grown-up zone – while the children can kick back with a good film in the TV den. The first floor offers the grand master bedroom, with a specially designed walk-in shoe wardrobe, his’n’hers dressing rooms and en-suite bathrooms, plus a sitting area and a balcony to overlook the south-west facing garden for those sunshine-filled al fresco breakfasts. There is a gym adjacent to the master suite with a separate staircase linking the leisure complex below. The additional four double bedrooms are fully equipped with dressing rooms, built-in wardrobes and en-suite bathrooms, while a lift provides easy access between the two floors. Titlarks House boasts an envy-inducing leisure suite, complete with a spa, sauna, steam room and treatment room. While the 10m x 5m indoor swimming pool with glass sky lights is protected from the elements during the winter months, the complex has a full wall of fold back glass doors, allowing for the most exclusive of indoor/outdoor living during the warmer months. 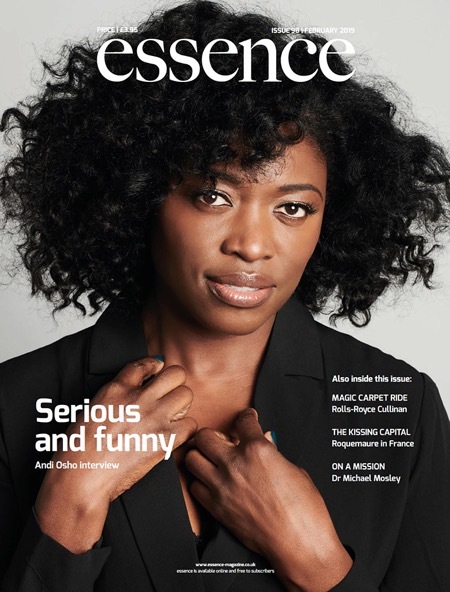 Aspirational interiors have been created by Kim Harvey, with bespoke artwork and murals adorning walls, and lust-worthy furnishings – including an art deco style mirrored bar, complete with crystal glassware – perfectly complementing the high quality Octagon fixtures and finishes throughout. An additional feature of this stunning new property is the mature and secluded landscaped gardens, all set in circa 1.4 acres. Titlarks House will be perfect for summer soirees, especially when considering the second commercial kitchen inside. The two self-contained staff suites above have independent external access and the detached garage has space for four cars. 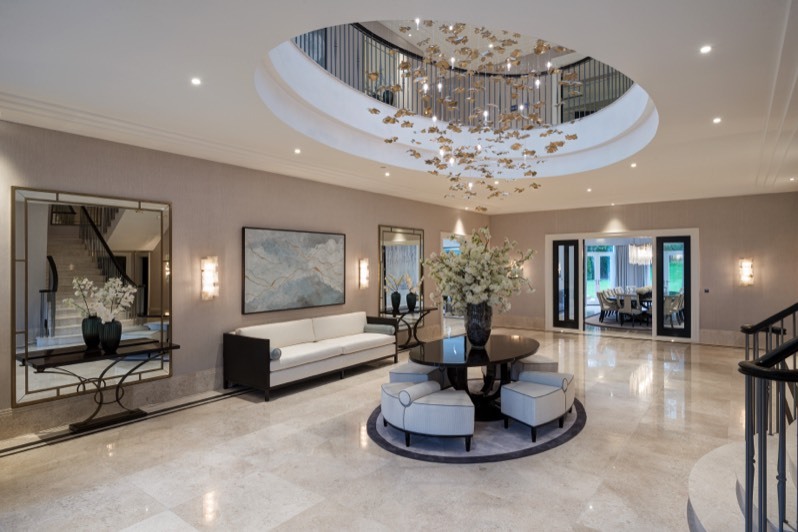 This modern mansion is located within easy walking distance of Sunningdale town centre, with its shops, boutiques, cafes, restaurants and mainline train station – where trains go into London Waterloo every 15 minutes. Heathrow Airport is just 14 miles and Central London is 25 miles away. Guide price: £15m. Contact Octagon on 020 8481 7500, or Knight Frank on 01344 624732.